Hmm, what can I make for lunch with a jar of roasted red peppers? Here is another pasta dish that is a result of whatever ingredients I could find in the kitchen. Instead of serving the roasted peppers with crusty bread or making a dip, I boiled a box of pasta and tossed it with a roasted red pepper pesto, made with walnuts and asiago cheese. 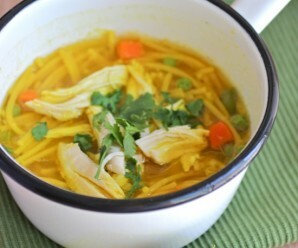 You can eat this dish warm or cold, it is delicious either way. 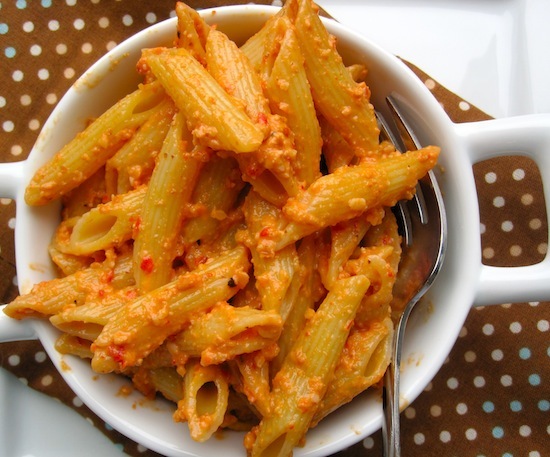 The benefit of this Roasted Red Pepper Pesto was that if you have some left over, you can put it on a sandwich for lunch the next day or serve it over your favorite fish for dinner. In a food processor, combine the garlic, walnuts, roasted pepper and Asiago and pulse to chop. With the machine running, gradually add the olive oil. Add the salt and pepper. Add the cooked pasta to the pesto and toss to combine. Serve with a green salad. « Have You Tried Tropicana Pure Premium Yet? What a great use of pesto – delicious! simple but nourishing. Great idea. Yum, What a nice flavorful pasta! I would love that for lunch. 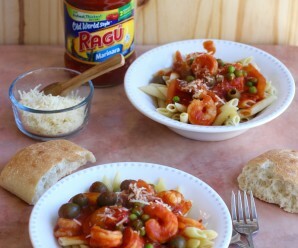 I love that you spotted a jar of roasted red peppers and have the creativity to make this dish. It looks beautiful. Hope you are doing well! We have a similar pesto called muhammara and one time I made it with pasta like you! It was delicious and so easy! I make a similar pesto with Piperies Florinis which are Greek red sweet peppers. This is one of my favourite pestos and haven’t made it for a very long time. I love it in pasta. This is the simple kind of pasta sauce that I love. The pesto sounds yummy! Very tempting, Erica! And the walnuts are a super addition. Oh my, this looks easy and excellent, Erica! 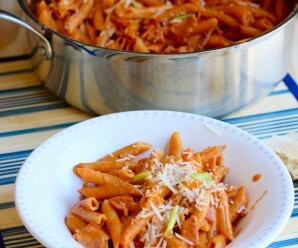 The red pesto sauce clinging to the pasta makes me hungry. a new way to make pesto!! I’ve made something similar to this before, and you’re right, it is amazing and also fairly easy. 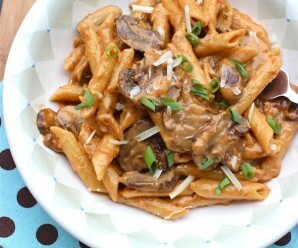 I’d never considered penne rigata, like you show here, but I imagine that gives the dish a great chewy texture. Thanks for sharing! And you can’t beat roasting your own peppers, either. Nothing compares. I love this simple summer recipe – or autumn, I guess. Nummy!